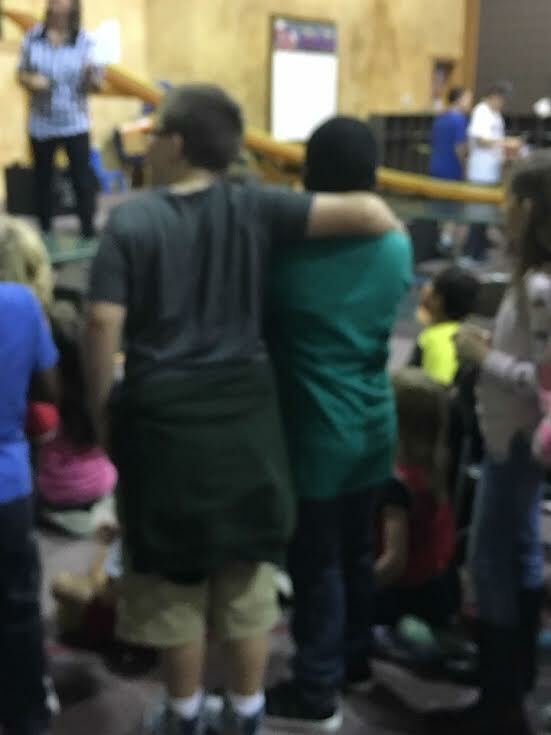 This (blurry) photo that I took last week of my son standing there with his friend’s arm around him warms my heart. I don’t know why they were standing there like that, but it spoke volumes. You see, there is still good in this world. Love still trumps all things. I am finding it easier now-a-days to want to watch the news or read the back and forth of FB and let my heart get bitter; However, I know without a shadow of a doubt there is a better way ~ grace, love, peace, hope, and prayer. My friends, we can’t fix everything, but we can begin in our homes. We can begin to let the power of God mold and shape us. We can be an example to our children, who are watching. (I often here my son repeating the things he hears me say to his friends. His view of this world is coming from mine and my husband’s views). Think about this today: By the power of the Holy Spirit, we get to align out hearts with God’s. We get to walk so close to Jesus that people around us see Him through each of us. There is still goodness in this world because GOD IS GOOD! We can proclaim with boldness….”AS FOR ME AND MY HOUSE, WE WILL SERVE THE LORD!